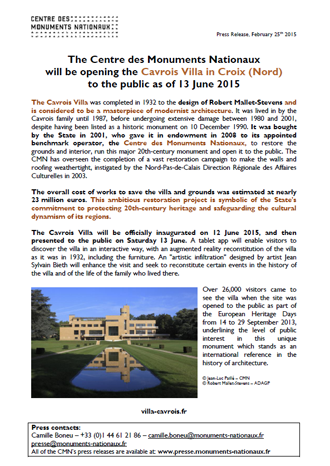 Welcome to the press area of the Villa Cavrois. Here, you will find the monument's press kit, along with images and contact details. > For other press releases, go to the dedicated area of the website at Centre des monuments nationaux.